We go from the latest Kickstarter launch of The Black Glove, a game that I described as interesting but not my cup of tea, to this new action game called Beyond-Human, a game that can best be described as my favorite six-pack of brews plus a bag of potato chips! When you cite Metroid, Mega Man and Devil May Cry as your main inspirations, you are already halfway on the road to convincing me to support you. The other half comes from excellent sprite animation, tight action, a rockin’ soundtrack, and a slick presentation that comes off as old enough to inspire 16-bit nostalgia yet new enough to not be a fossil upon release. Check, check, check and check! Beyond-Human has it all, and it’s the kind of game in which the gameplay can do all the talking for it. No need to put the developers on camera. The gunslinging, acrobatic sword swinging, stylish action is all I need to see to convince me this is a game worth following, and I’ll stop talking about it now to give you the chance to see it for yourself. I only worry that it is appearing a little too late on the scene. 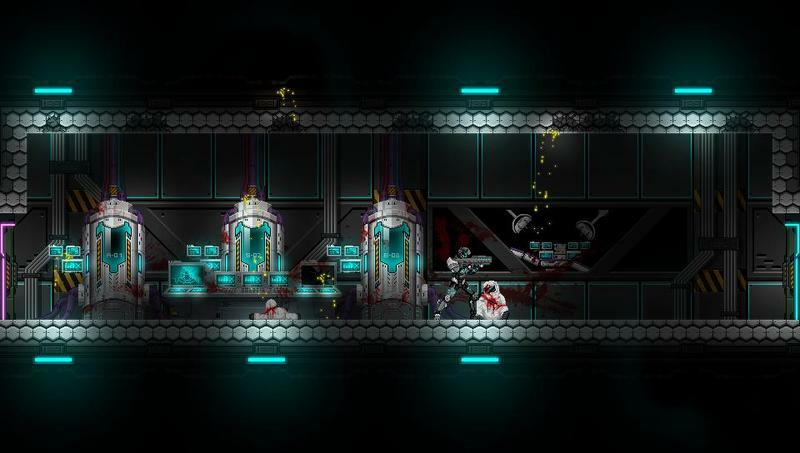 For as slick and stylish as it looks, “Metroidvania” titles have been done to death on Kickstarter, and Beyond-Human doesn’t seem as if it has that extra hook to lure people in. Flashy melee combat aside, it’s pretty standard for the genre. Fine for me, but maybe not the masses looking for a little extra. Developer domino99 has a very reasonable goal for Beyond-Human at €20,000, and he has 24 more days to get it. The basic goal secures a release on PlayStation 4, PS Vita, PC, and Mac and the Xbox One and Wii U versions will be considered at €70,00 and €90,000 stretch goals. That seems like quite a stretch indeed! With indie developers left and right ripping off a genre it practically invented, you really have to wonder how Nintendo is going to respond with its own Metroid title. Maybe it doesn’t have the confidence to do something original enough with Samus to blow away the copycat games, or maybe it has all the confidence in the world and is just waiting for the right moment to strike. Either way, the more the indie scene pulls away with this genre, the less and less younger people are going to remember the peak days of the Metroid franchise.